Sometimes in life individuals need to turn to what got them to where they are in order to move forward. This is the approach Danny Rosenberger (2-4-3) has taken in preparation for his match against Mark Daley (3-0-1) this upcoming Saturday at The Meadows Casino and Racetrack located just outside of Pittsburgh in Washington, PA.
"My trainer Tom Cordell and I have gotten back to the basics to get me prepared both physically and mentally," Rosenberger said of his training camp. 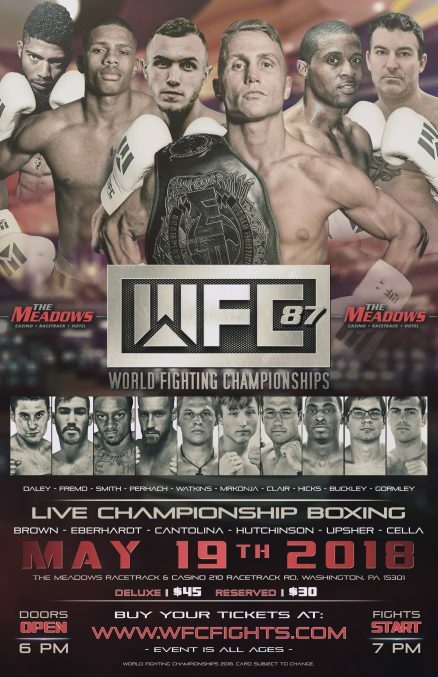 Rosenberger, 28, admits he wasn't as mentally as strong as he would have liked for his previous two fights, a decision loss to Justin Steave at Mountaineer in New Cumberland, WV in February and most recently a draw with Jauvan John in March at the Palermo Center in Campbell. "In other recent fights, I was in my own head sometimes thinking about what to do rather than reacting". stated Rosenberger. Now Rosenberger must take his new mentality and face a fighter in his own backyard. "I'll be on the road in a tough environment in Daley's hometown," said Rosenberger of fighting the 35-year-old Pittsburgh native is suburban Pittsburgh who will be entering the ring for the first time since scoring a decision victory over Raphael Sinegal at the Rivers Casino in August 2017. "Fighting in a guys backyard seems to have become custom almost so that's not going to bother me, but once again I have to take the fight to him and not the let judges question any moment of the fight". 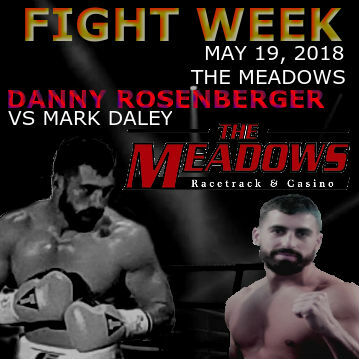 Though Daley might hold the home advantage in terms of the location of the fight, Rosenberger feels his recent ring activity and solid sparring he's received this camp will give him some advantages of his own in the four-round super welterweight contest. "I feel more seasoned because of being more active and constantly in the gym," said Rosenberger of fighting for the fifth time since March of 2017. "We also reached out to the Rodriguez brothers, Jose and Dave from Talmadge to get some sparring. They are both undefeated professionals and both not only tough but great guys". 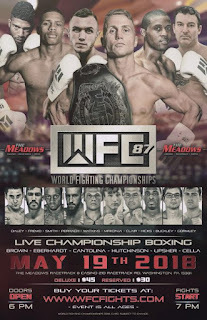 Also appearing on the World Fighting Championships promoted card will be Pittsburgh fan favorite, lightweight Bill Hutchinson. Thanks for sharing the post..I love putting together useful information, this particular publish has got me personally a lot more info!